It’s a long and sometimes “sandy” way around to test out a theory. 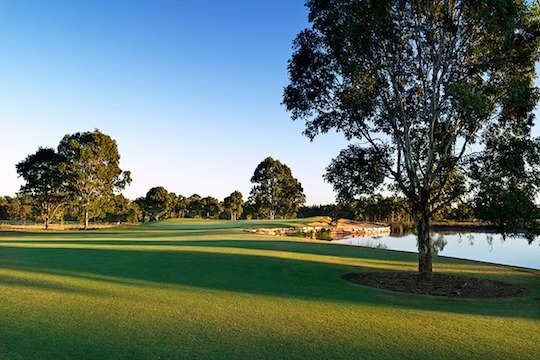 I had heard from several keen golfers that Twin Creeks, in Sydney’s west, boasted one of the best finishing holes in golf. Equal, they told me, to the mighty par-four finishing hole at Clearwater Resort in Christchurch, New Zealand, where they have played US Nationwide Tour events in the past. 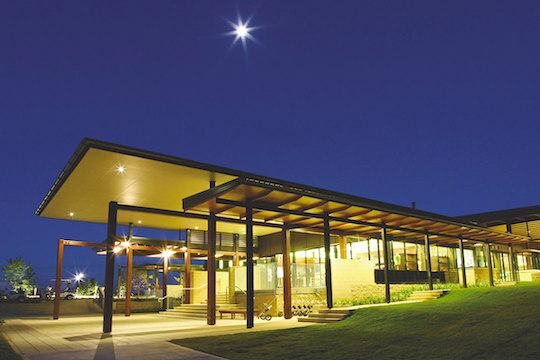 Before I take you there in this story, I have to admit I have always taken a special interest in the development of Twin Creeks, at Luddenham. 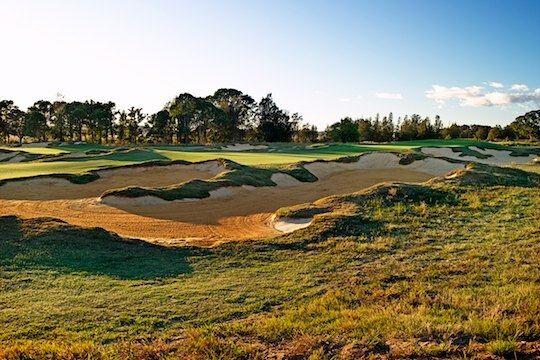 I ventured out there not long after Australia’s Wonderland, just up the road, had closed down so I could interview the course designer – Australian golfing great Graham Marsh. The enthusiastic West Australian went to great pains to not only give me a terrific interview but he also put me in the front seat of a four-wheel drive to steer me over the length and breadth of the area, enthusiastically showing me what his plans were for what would become one of Sydney’s most impressive – and highest-rated layouts. Granted, I was not that hard to impress. 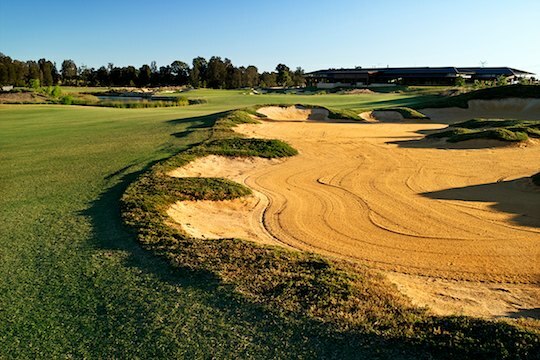 I have always loved Marsh’s Terrey Hills Country Club layout in Sydney’s north. In fact I rated it one of Sydney’s best and most alluring layouts. I’ve also played some of his other gems like Paradise Palms, north of Cairns, as well as Horizons (Port Stephens) and Robina Woods (Gold Coast). Heck, I’ve enjoyed them all. So I was extra keen to see how he developed this area, which looked pretty dry and barren when we inspected it. Marsh still pointed out the fact there were “twin creeks” on the site, he could only see positives. And as I stepped onto the first tee, the only negatives, in my mind, were all the bunkers that Marsh had “installed” to catch my wayward tee shots. While the par-four first looks dangerous, it is in fact quite an innocuous and simple starter that only requires a straight tee shot – it doesn’t even need to be that long. 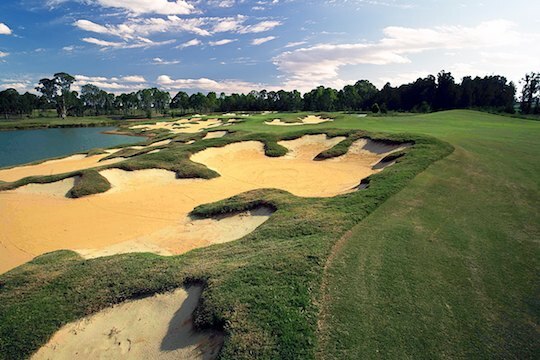 Sure, there are a string of bunkers up the left and should you not take enough club to reach the green with your second, there is a fair chance you’ll land in one of them. The second is only a short par-three, so really you have no excuses for not getting the round up and running with a positive start. A bogey-par start certainly had me keen as mustard to get on with it. I had seen photos of the ninth hole and have to say I have seldom seen as many bunkers on the one hole. It’s a 545m par-five and amazingly, I was able to play this true three-shot par-five without landing in any of them (I think there’s about 30, from memory). Yet one of our foursome, who really was in the wars at this stage, hit two balls onto Luddenham Road up the left and found two more bunkers before eventually admitting defeat and picking his ball up after at least nine shots (Was that nine a one? I couldn’t resist asking him. That didn’t go down too well either and certainly wasn’t received in the cordial manner in which it was delivered). Make no mistake about it, like any good course, Twin Creeks can beat you up if you are having a horror day – particularly with the driver. Like most Marsh courses, there is a premium on driving the ball well – and straight – I guess that’s not unlike Marsh himself in his heyday. There are some really interesting holes on the back nine and as two of our foursome lined up to have ‘a crack’ and try to drive it onto the green on the 309m par four 12th, it suddenly occurred to me that Marsh does have the happy knack of creating some really delightful “short” par fours that test everyone’s patience, for want of a better word. By that I mean it is difficult for the ego-driven golfer to resist having a crack at the green. Most times you are going to miss it – alright, nine times out of 10 – but the temptation is definitely there. And I know it sounds like a cliché, but it’s the old ‘risk-and-reward’ stuff that makes golf so interesting. OK, I’d rather bang my iron down onto the fairway and have a mid-iron to the green. But if you want to go for it, good luck to you. I wager I’ll still halve the hole and maybe even win it against you – or at least have a putt to do that. Different strokes for – well, you know the rest. The run home at Twin Creeks is a fun one. The par-five 15th (525m) will bring many a good round undone because the tee shot is blind. It actually reminded me of hitting off on the fifth at New South Wales just a tad, although the trouble off the fairway is even more punishing because you’ll be lucky to find your ball, let alone play it. One of our group (let’s call him Baz) hit a lovely third shot to the green but pulled it slightly left. He was fortunate enough to find it in the rough and then tried a delicate little pitch-and-run under some branches and up the hill to the flag. He had us in stitches when his perfectly-struck shot hit the edge of the path and rebounded back over his head and further into the undergrowth. Three vicious hacks later he picked it up and took a wipe – and turned the air blue with what he thought of that result. All good fun. The 16th is another wonderful par four (417m downhill, slightly) with water on the right and just one thicket of trees on the left to catch the long hitters out. They’re still building new homes along that fairway but they will boast some wonderful golf course views when they’re finished. The 17th (a 163m par three) is almost a signature hole. Almost. With water in front and left of the green, its just a well-struck iron and par should be a formality. I say ‘should’ because it never is. At last I stepped onto the 18th tee. And what a hole this is. A perfect 402 metres, you want to hit it “sweet” because you know there will be players in the bar enjoying a drink and watching you finish your round. To have any chance of a birdie, the tee shot must play long and to the left side of the fairway adjacent to the water. And even from there you’ll require a long and accurate iron to reach the lakeside green. Players not feeling confident are advised to lay up for a short pitch home to the green (I had too because my tee shot only just stayed on the course and just inside a fence which runs up the right-hand side. It’s safe to say there will definitely be more bogeys than birdies on this hole. We finished the round and enjoyed the lunch-time crowd enjoying watching players “self-destruct” as they came up 18. I couldn’t help but feel it would be the perfect place to finish off a four-round professional event one day. Maybe even threaten the course record 66? Which was set by Marsh. His card, which now sits on the clubhouse wall, just near the entrance to the pro shop, reveals “Swampy” Marsh gave us all something to catch. “I’ll bet he stayed right out of the bunkers that day,” lamented one of our foursome as we headed inside for a club sandwich. 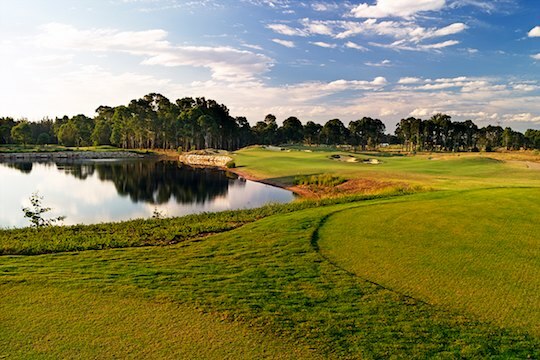 Twin Creeks is the perfect place for a mid-week round of golf. It doesn’t seem to be too crowded, is in first-class condition and will reward the good golfers – or the man in form. Cheer up [Bernie], we’ll go back and play it again one day.